Bailey & Birch provide an efficient, qualified & expert PAT Testing service for all types of client. 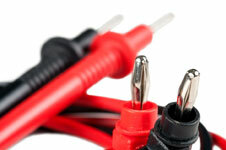 We can test a single item of equipment, or PAT test a few items in say a rented property, shop, restaurant. We will test all the equipment in whole office buildings, schools, hotels, factories and almost any place of work. Our engineers PAT test, certify and log 1000′s of items every month. We test not only portable appliances but large equipment including cookers, three phase equipment, hand dryers, wall mounted equipment, industrial items, machines, et all. An expert visual examination of each item. 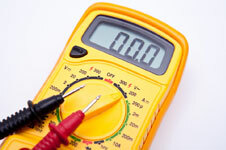 Electrical instrumentation tests, Soft test to IT equipment where appropriate with insulation readings limited. Detailed reports with numeric logging system individual labelling of each item Certification submitted for each item tested Inclusion of each individual test within our data base. Certificates can be quickly posted out and or emailed to you. 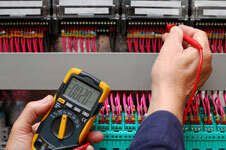 An experienced electrical inspection engineer shall be appointed to your work. Our Inspectors are fully competent to carry out individual analysis and make considered assessments to ensure accurate and detailed reports are submitted. The Electrical Equipment (Safety) Regulations 1994 require that equipment be safe and in conformity with the principle elements of the safety objectives for electrical equipment set out in section 3 of the Regulations. In service testing of portable, electrical apparatus is carried out by our experienced electricians (not a semi skilled pat test machine operator) ensuring expertly considered and useful outcomes are produced.